Readers and writers are in some ways like dance partners - we need each other, we need some way to connect, though our aims may be different. As readers we wish to discover and follow great authors who write great books. We want to be entertained, taken on an emotional journey, inspired, transported into another world (whether the this world is contemporary, historical, futuristic or imaginative.) As readers we are spoiled for choose - over two million new books are published each year. More than anyone could read in a lifetime. Of course, not all of those are in English, not all of those are in the genres we love or on the topics that interest us, and many of those are perhaps not the best quality. As readers how do we find the books and authors we would enjoy amid the ocean of books? As authors, we spend maybe years on writing and polishing our books, immersed in our words, living with our characters. In many ways, they are like our children. Writing (when it's not torture) can be exhilarating, thrilling, addictive. But who hides their children in the basement? Most of us want to the world to read our stories, we want to connect with new readers who will enjoy our books, who can't wait for the next one. But it's hard to do that in a world swamped with new titles each year, especially as publishers spend less time marketing new authors. So how do we find dance partners? 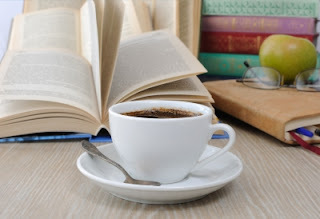 Of course, there are a number of ways - launches, browsing, book-signings, catalogues, book clubs, newsletters, reviews, giveaways, author talks, social media, word of mouth ... All legitimate ways for readers to find new books or authors to connect with new readers. And then there are book events - markets, cons and book fairs. 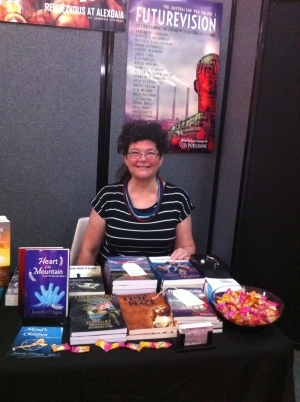 I know some authors have stalls at local markets to sell their books and connect with their readers. How successful these are often depends on the day, the weather, the type of market it is (if most of the other stallholders sell fresh food, books may not be what patrons are looking for), and perhaps, building a presence over time. I've had table at our church's Twilight Markets and sold a few books - more this year than last. Things to consider might be the cost of stall hire, props (are tables supplied, table clothes, posters or banners etc), promotional materials, insurance, change & eftpos facilities, and a way to carry the books. While there are ways to sell ebooks at physical events, it works best if you have print books for sale. As a reader, this would be hit and miss, unless you know for sure a local author - or group of authors - regularly come to a market. Conventions may provide a more focused audience, but may have higher costs. 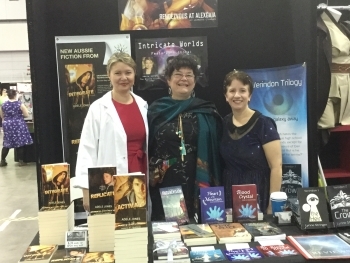 Last year Adele Jones, Lynne Stringer and I shared costs at the Brisbane Oz Comic Con over a two day period. This is a convention dedicated to fans of all kinds of speculative fiction (we are science fiction and/or fantasy writers) and we had a very willing audience. We must have spoken to hundreds of people who were interested in what we wrote and in our books. And while we didn't sell hundreds of books, sales were healthy. We also had fabulous fun enjoying the vibe and seeing the fantastic cosplay and speaking to people interested in speculative fiction. We had discovered our tribe. Last year I was also invited to speak at Conquest - a speculative fiction fan group - and was given table space to display my books. It was a fun afternoon, though I found most people were interested in telling me about their passions than buying books. For readers and fans, these can be fantastic events with opportunities to meet authors (or actors) you follow and to maybe discover a new fandoms (Nardva anyone? Or Verindon? Or Blain Colton? You know you want to - smile). Books Fairs allow a number of authors to display their works and hopefully attract keen readers looking for the latest book from their favourite author, but also to look at new titles and authors in their favourite genre. The Readers and Writers Dowunder run a book fair at the Gold Coast each year, though (at least the year I went) the vast majority are romance and generally romance with bare-chested men on the covers. Omega Writers ran a Book Fair in 2016 (organised by Raelene Purtill and myself) - with a range of authors, workshops, readings, prizes. 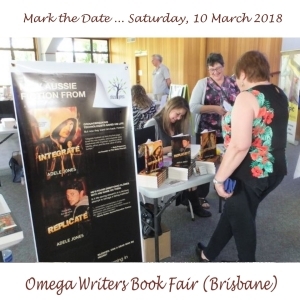 It was so successful that Omega Writers is running the Book Fair again this year on Saturday 10 March at the same venue (Queens Road, Everton Park). Judy Rogers and I are the main organisers this time round. We are excited to have Gary Clark - the award-winning Australian cartoonist, and creator of Swamp, Diesel Dog and Dingbat comics - to give a one hour workshop on Inspiring Humour. This is also an opportunity for Christian authors to display and sell their books and connect with readers. And an opportunity for readers to connect with a wide range of Christian authors - from non-fiction to fiction, from romance to science fiction, from children's to adults' books. Entrance for readers is by gold coin donation, while registration for display tables and the workshop will available next week. To find out more, watch the Omega Website - or join the FB event page here. If you are in our near Brisbane in March this year, we urge you to come check it out - you'll enjoy it. So, what is your experience of markets, conventions and fairs. Any tips, either as a reader or a writer, about how to get the best out of these events? Jeanette started spinning tales in the world of Nardva at the age of eight or nine. 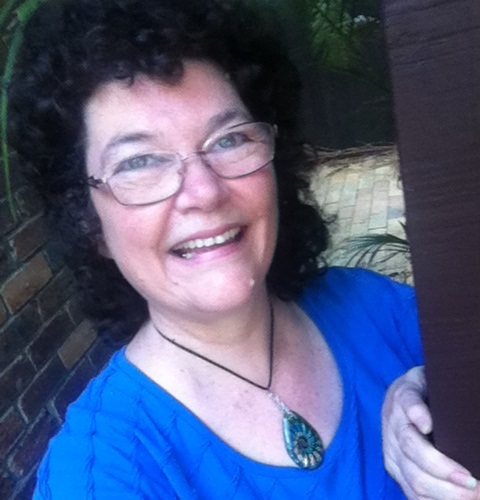 She enjoys writing secondary world fiction, poetry, blogging and editing. Her Nardvan stories span continents, time and cultures. They involve a mixture of courtly intrigue, adventure, romance and/or shapeshifters and magic users. She has published numerous short stories, poems, two novellas and her debut novel, Akrad's Children. Find her on Facebook , Twitter, or at her webpages Jeanette O'Hagan Writes or Jenny's Thread. Thanks, Nola. Actually I was wondering the same myself, lol. And yes, Gary will be awesome. Look forward to seeing you at one, if not more, of the ‘cons’ this year.